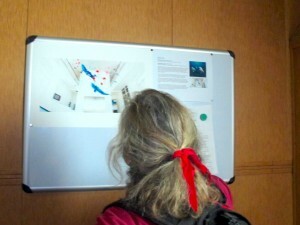 Antarctic Book of Cooking and Cleaning co-writer Carol Devine joined an Arctic cleanup and brought along a ‘floating exhibition’ of art made from garbage. Read more about it here. 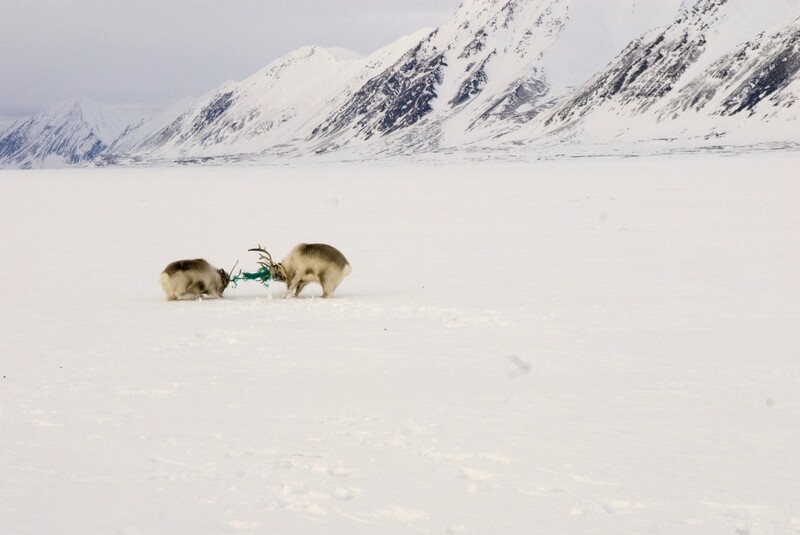 I joined Cleanup Svalbard, keen to help with a volunteer earth stewardship project also at the top of the world. The Governor of Svalbard, appointed by the King of Norway, insists locals and tourists must not litter or pollute this remote place in the high Arctic but also encourages Svalbard dwellers, tourists and tour ships to help collect garbage. Oceanwide Expeditions took us for 7 days around the archipelago to clean up. We are also spotting polar bears as we go into the pack ice north of Nordaustlandet, Svalbard’s northeast island, covered by a glacier. Here and in the Northern Barents Region, including Russian territory east of Franz Josef Land, polar bears are populous…we see ancient fossils and conglomerate rocks. 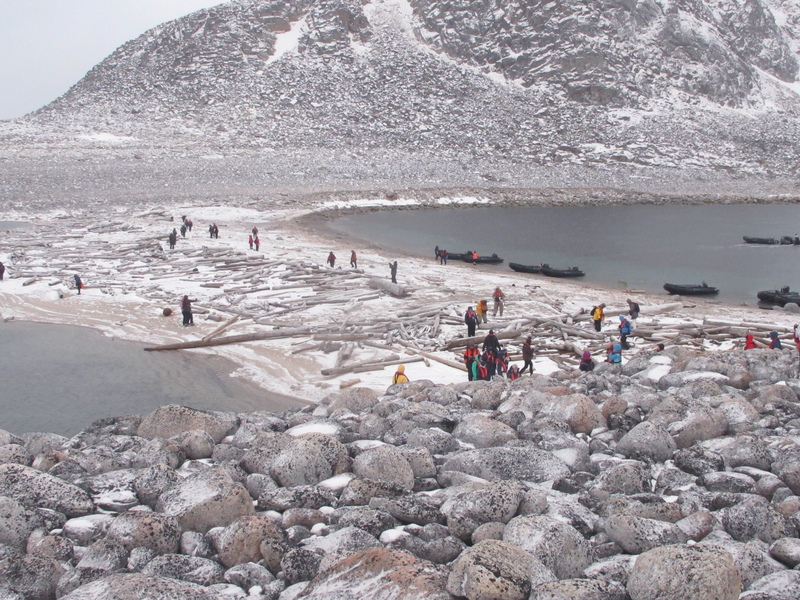 Parts of Svalbard are 32 million years old. There was no indigenous population living in this hostile neverneverland unlike in the north of Canada, Scandinavia, Russia and in Greenland. 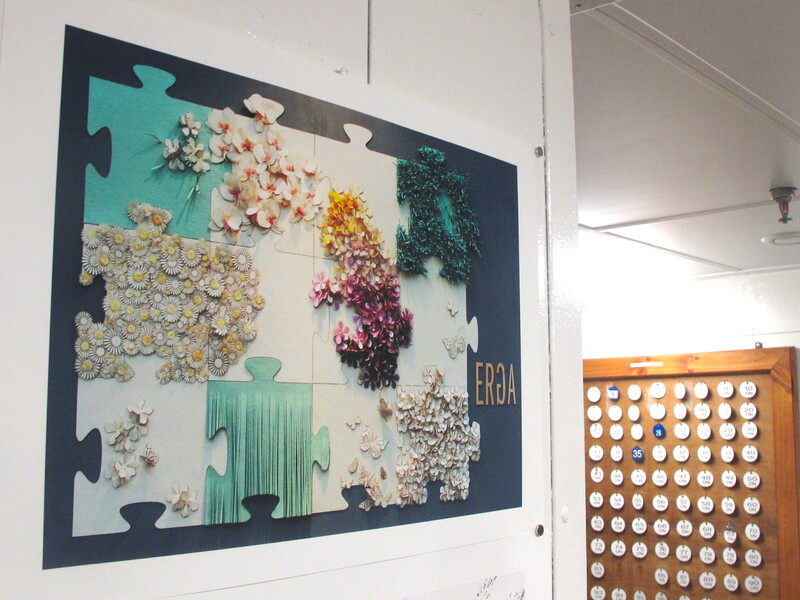 I also took along and mounted art made by international artists, all made of trash. 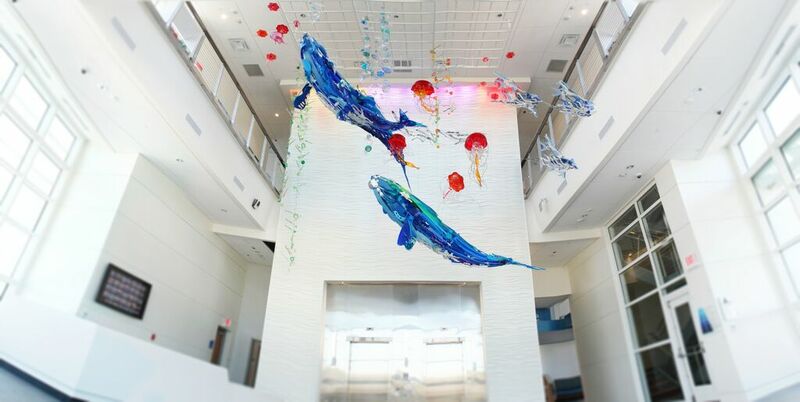 A ship is a perfect place to mount an exhibit with magnets – the whole ship is a steel magnet! The exhibit floated with us as we made stops to clean three beaches. 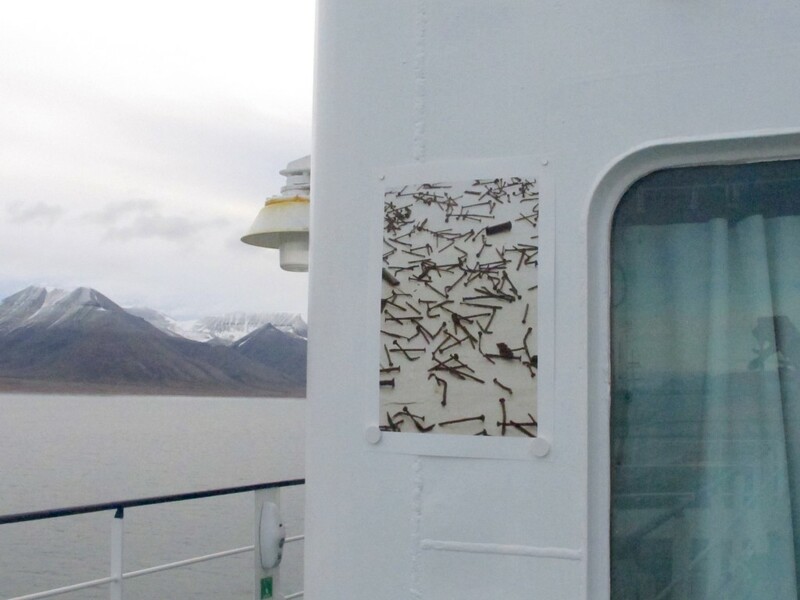 Discard/Art is a popup exhibit (Aug 28-Sep 4, 2015) with images from 12 artists accompanying a ship full of 112 adventurers helping clean up the high arctic – a ‘living laboratory’. Svalbard is an Norwegian archipelago surrounded by the Greenland, Norwegian and Barents Sea and it’s the gateway to the Arctic Ocean. 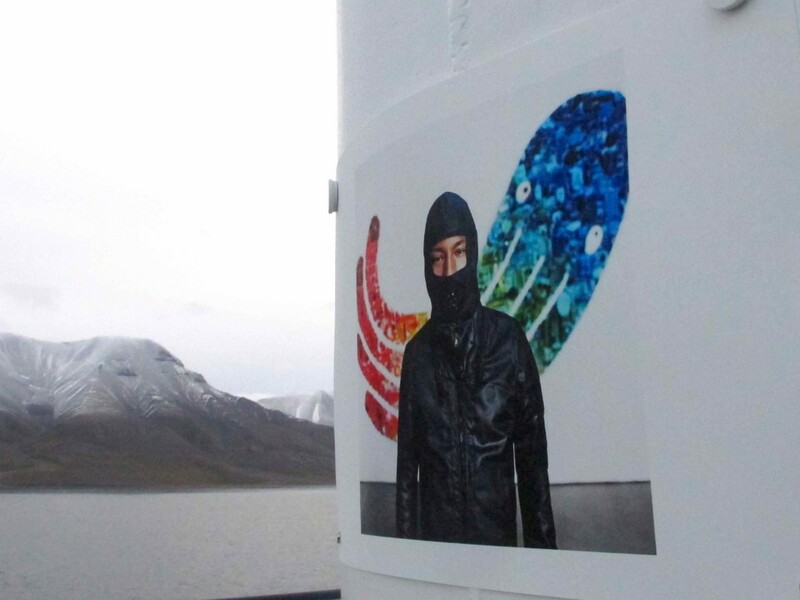 The floating exhibition started on the Ortelius ship in Longyearbyen’s harbour and goat over 80 degrees north in the pack ice. Artists and innovators make art from discarded objects – such as Zero-Wasteland wallpaper from fashion industry’s discards by Norway’s Kristel Erga, to Cameroon’s Pascale Marthine Tayou’s Plastic Bags made of hundreds of discarded bags, to an image by Wendy Trusler of nails collected in an Antarctic cleanup to wearable art/objects by RAW for the Ocean made from sea garbage. There’s the garbage. You can’t see it from the ship but once on shore if you look down you see it everywhere in small blue, white, green, red bits of plastic, plastic net pieces, larger discarded plastic bottles, buoys and packing crates from the fishing industry. 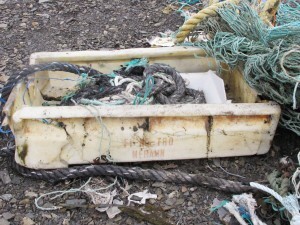 What’s notable is how fine some the plastic is — disintegrating into to bits by water, rocks, time. We know the small pieces are dangerous as birds and other wildlife mistake it for food and whales scoop it while feeding. Over four days and over some 10 nautical miles we pick up 13.5 cubic metres of garbage including 3.5 cubic metres of plastic nets. 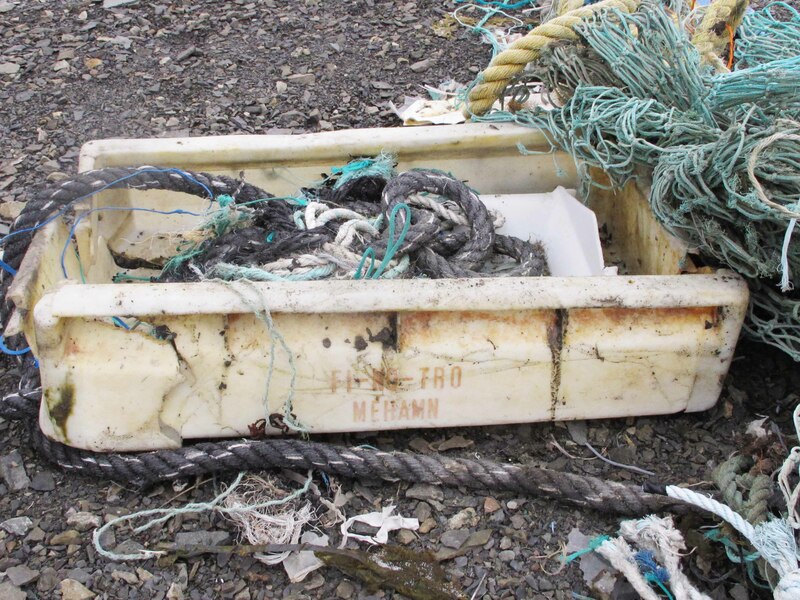 Most garbage is from the fishing industry. I saw this image in a German newspaper in November 2014 and I thought at first it was art. It is art, but it is also truth and testimony of the impact of garbage, discards, plastics on nature and the biosphere. These reindeer are caught in fishing net. It took me months to track down the photographer but when I did i got the good news story that he and his wife who were out snowmobiling when they saw the struggling reindeer, were able to separate them. Sveinung’s photo is the most literal and sad in the exhibit illustrating the effects of human carelessness. The others are a mix of beautiful and intriguing– Japan-born Sayaka Ganz’s Travelers, large sculptures of swimming plastic bears resonates with exhibition ‘viewers’ as does the installation by the late Italian Argentinean architect and plastic artist, Clorindo Testa’s Apparatusgommatus testianorum, a 9-metre long monstrous new trash species. 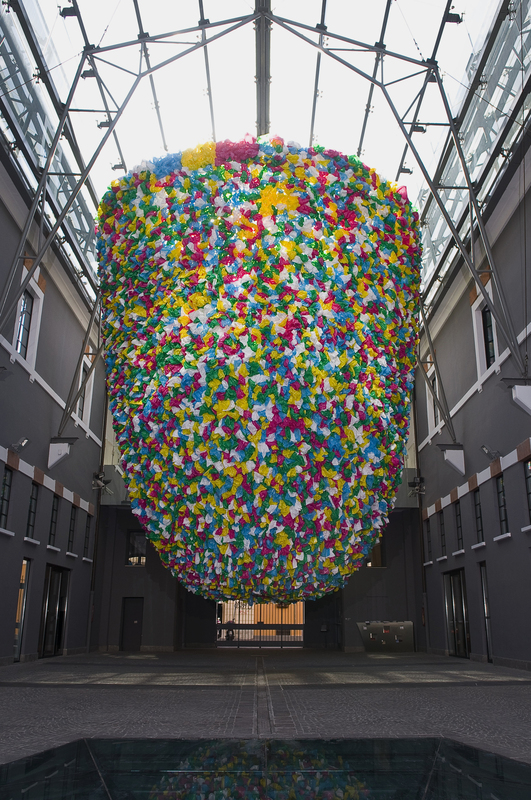 Pascale Marthine Tayou’s huge hanging sculpture Plastic Bags made of thousands of bags, an allegory denouncing consumer society, gets many views by the door to the fifth deck. Our pile of plastic trash consolidated in large white bags, while not as ordered and playful, starts to resemble Tayou’s sculpture. Each artist’s message echoes the next. Ganz wants us to be closer to nature. “If we value our resources, we will waste less,” she hopes.